I wanted answers that went beyond responses we normally get, e.g. “Islam is a complete way of life”…”Follow the Qur’an and Sunnah and all will be fine”. I wanted some practical advice. 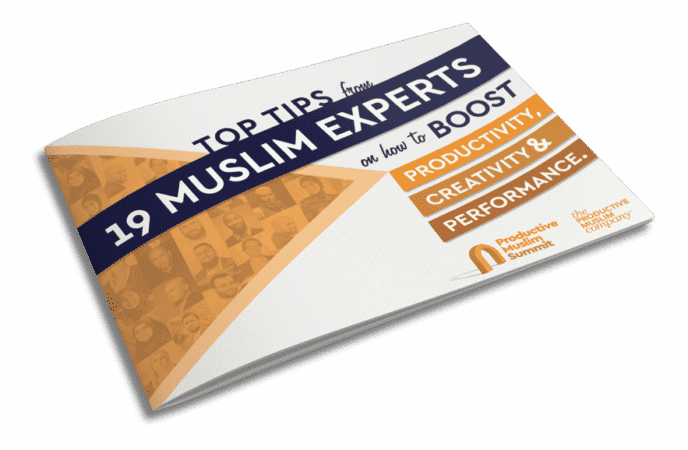 I wanted advice that I could share with a Muslim or non-Muslim audience, that showcases how Islam as a faith system truly provides us the answers to live healthier, more meaningful, productive lives. Here is a quick sneak peek before the Summit begins! I noted down one essential point from each of the 19 interviews (if you’re interested in more takeaways from the Summit, register to get get a free eBook with 50+ takeaways from interviews). I learned how wealth creation is not antithesis to faith-development and how the two can go hand-in-hand with the right intentions and value-based actions. I learned that creativity is about testing the boundaries of “what’s acceptable” within the vastness of Islamic values and principles and how having a mission drives your creativity. I learned how the Prophet’s life was a character building blueprint for our own lives and we should look at the his life holistically (from childhood to adulthood) to understand the character building aspects we can implement. I learned about the critical importance of taking care of the non-urgent but important spiritual aspects of life, before they become urgent and we won’t have the capacity to develop them. I learned about Prophetic foods, such as the Nabeez which is dates soaked overnight in water and what a powerful source of energy that is in the morning. I learned about 11 leadership qualities of the Prophet Muhammad which were exemplified in the Battle of Hunayn – a battle, I’ll never read about in the same way again! I learned about the power of Islamic values, rituals, and mindsets in helping us manage our digital lives meaningfully including ensuring we leave an online legacy that we’ll be proud of on the Day of Judgement. I learned that living is not the same as making a life, and how Islam consciously helps us to choose the latter every day. 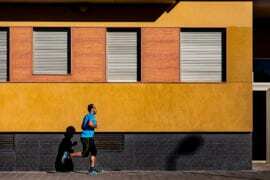 I learned about the importance of having powerful morning routines that start with Tahajjud Prayers (Night prayers) and what that means in terms of a life of achievements. I learned that even though bad habits are hard to stop (especially addictive ones), Islamic rituals and values help steer the person away from bad habits when we are conscious of them. I learned how our faith encourages us to take care of our mind, body and soul, not for selfish reasons but to be our best selves with others. I learned about the importance of visions – not any normal vision – but visions that are 10x what you think you’re capable of doing and connecting that with the Vision of Prophet Muhammad . 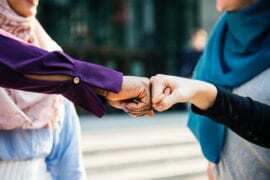 I learned how the Prophet is our Life Coach and we should find ourselves in the Companions of Prophet Muhammad who were transformed by the Prophet’s teachings. I learned about how to connect spirituality to your workplace, regardless of the sector you’re in, and how that connection drives high performance at work. I learned about the Prophet’s beautiful manners as a husband and how emulating him ensures marital bliss. I learned how the Prophet’s focus on relationships, character building, and leadership development was his greatest asset and as leaders we should focus on those too. I learned that looking at life from an Akhira (hereafter) perspective should not depress us but inspire us to go above and beyond what we normally think is achievable in this world because the rewards are greater in the hereafter. Reflecting back on these interviews, I realized that I only scratched the surface of how much we can learn from our faith in terms of personal development and self-improvement. 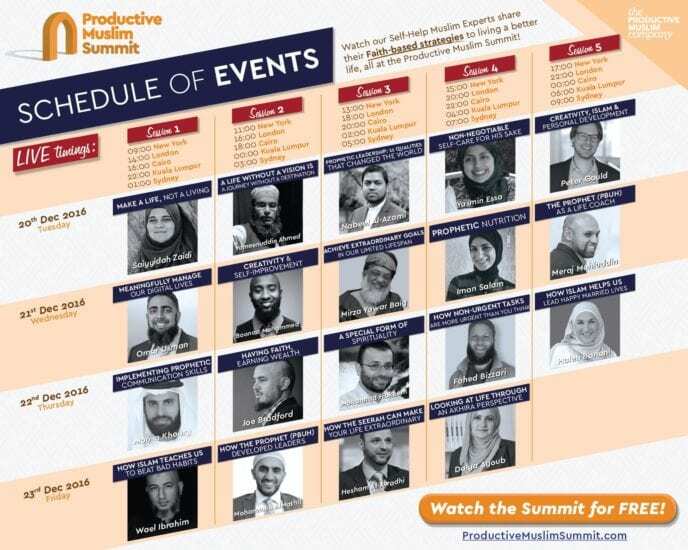 And I pray and hope that the Productive Muslim Summit will inspire a generation of Muslims, young and old. I hope it will lead you to explore your faith with a new lens of curiosity and enthusiasm. I hope it allows you to learn from, and start producing, faith-based, scientific-backed research and quality content, that genuinely improves people’s lives, and contributes positively to humanity: Spiritually, Physically, and Socially. 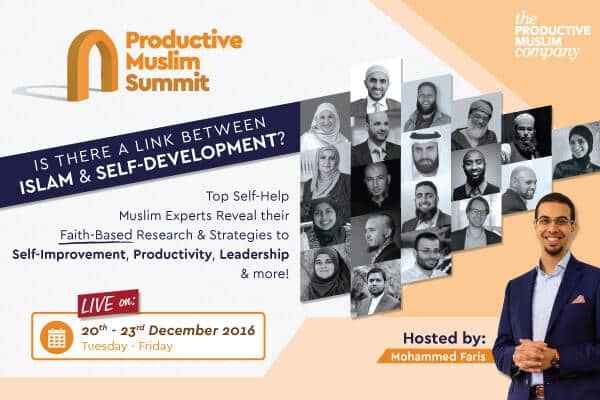 Don’t forget to register for FREE at ProductiveMuslimSummit.com. See you there in sha Allah!